Churches often receive requests to use their buildings for weddings. 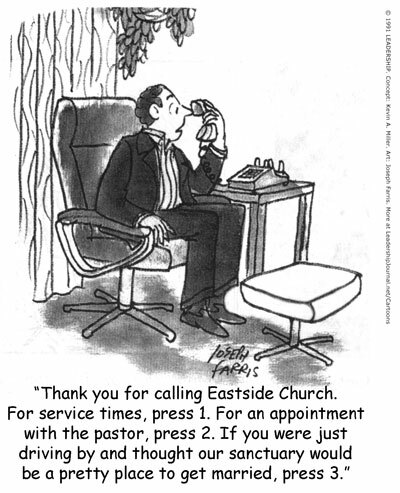 Some church leaders may feel there are so many requests that there may be a more simple way to answer them all. Sharing space with the community for a wedding is a nice way to be welcoming, and churches need to develop policies and procedures that make their facilities available for additional use—all while keeping their assets protected. Managing Your Church Facility Use will help church leaders apply best practices to facilities management. It includes a sample policy. For more forms to work with people who seek to celebrate their marriage in your church, check out Wedding Arrangements.